The original design was by architect H.G. Paul and it was modified by Ellis and Connery 1907. The house is built high on a hill and overlooked the ravine that led down to Grenadier Pond. At the time, one could see the above ground stream that led to the pond and Lake Ontario. When Mayor D.W. Clendenan decided not to run for a second term in order to contest the local seat in the provincial legislature, St. Leger was the popular choice to replace him. St. Leger’s mayoralty was short lived as Clendenan was spectacularly defeated by Dr. Gilmour and St. Leger stepped aside for D.W. to return as Mayor. St. Leger is remembered for his rhetorical question “What politics is there in a piece of sewer pipe?” and that when asked to turn the first sod of the Keele St. underpass (“subway”) extension, he opted to get behind a team of horses and plough the first furrow. 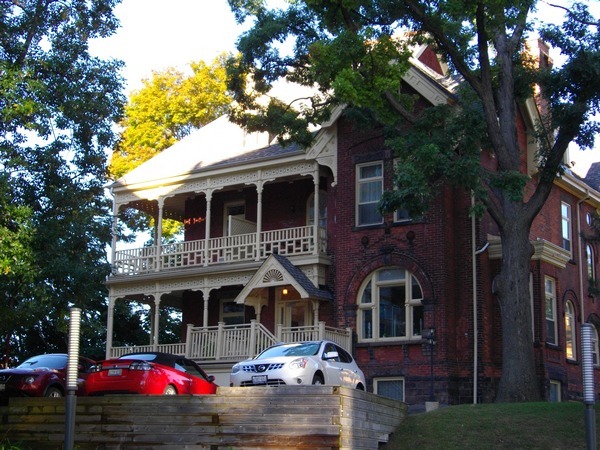 The house was later owned by Willliam James McCormack MD who founded the High Park Mineral Sanitarium in 1907, treating diseases of the nervous system. McCormack hired Ellis and Connery to design “major edition” in 1907. 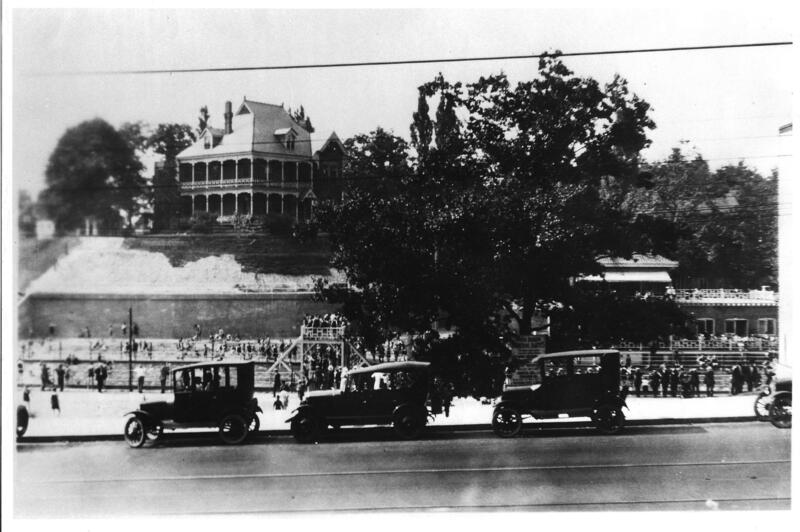 The property was renamed the High Park Mineral baths (known by Junction residents as the “Minnies”) when its small swimming pool was enlarged to Olympic size, once the only Olympic sized pool in the city. In the nineteen forties and fifties the house became Strathcona Hospital, a maternity hospital, where many Junction luminaries including WTJHS executive members first saw the light of day. Now it is a condominium.